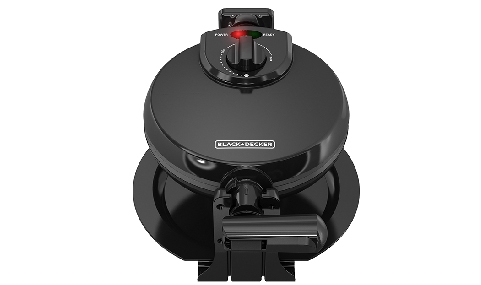 Breakfast gets a whole lot better with the BLACK+DECKER WM1000B Flip Waffle Maker. The extra-deep grids make room for all your favorite toppings, and the nonstick plates quickly release your delicious waffles. Adjustable temperature controls let you find the best cooking process for everyone’s tastes, and the 180° rotate and cook system ensures even cooking every time. A pair of indicator lights shows when the unit is plugged in and when it’s preheated and ready to cook. Adjustable Temperature- Control the heat and cooking time of waffles to find the best results for everyone’s tastes. 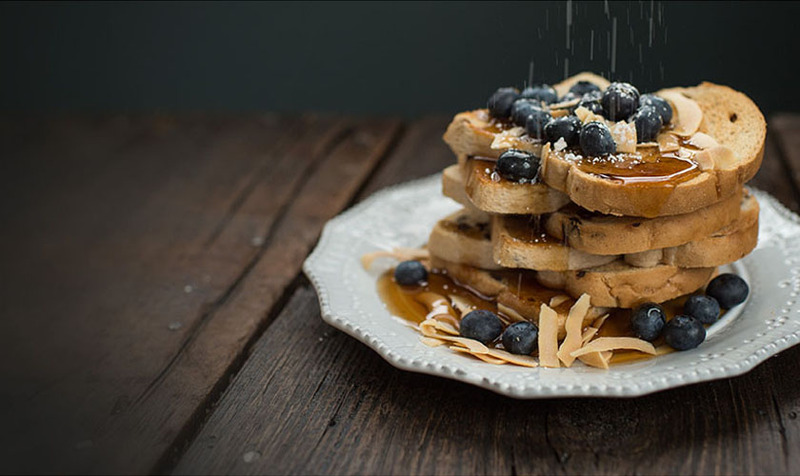 Nonstick Plates- Extra-deep grids make room for syrup and all your favorites, while the nonstick plates make waffle removal a breeze. 180° Rotate and Cook System- The unit flips over to create evenly cooked, delicious waffles every time. Cool-Touch Handles- Easily lift and lower the handle, even when it’s hot. Drip Tray- Keeps your countertop clean, catching any errant drips during cooking. Vertical Storage- If you ever put the waffle maker away, it stores vertically to take up less space in the cabinet. 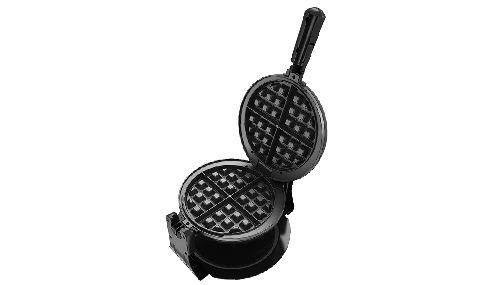 Thanks to the non stick surface, you can remove your waffles without hassle. The ready indicator light lets you know the right time to start cooking.